How can I use Invoice Factoring to Finance my Business? 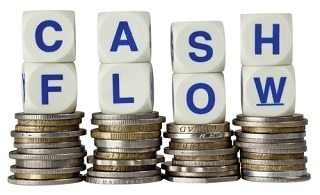 Cash flow can sometimes be a challenge for any business. This is especially true when your customers pay for goods and services 30 – 60 days after receiving them. Invoice factoring offers your business the opportunity to turn outstanding invoices into cash. Factoring your accounts receivable is a valuable financial tool for companies that have experienced difficulty obtaining traditional funding and have reliable but slow paying accounts. It helps if the invoices are for substantial amounts, rather than many invoices for smaller amounts. There are always exceptions to the rule, but this should help establish whether invoice factoring may be the right choice for your company. Invoice factoring has become a mainstream-financing tool for businesses needing help managing cash flow issues due to customers who have either been offered fairly lengthy terms of credit, or who are simply slow paying their invoices. The best part of invoice factoring is that it is not a loan. Your business sells those outstanding invoices to the factoring company in exchange for a lump sum of cash. The remainder of the cash, minus a factoring fee will be paid once the invoices are collected by the factor at the correct time. So what are the benefits? Many large corporations use invoice factoring to increase cash flow and reduce the need for accounts receivable management. Smaller businesses benefit in the same way. Outsourcing your accounts receivable management using invoice factoring can take away the constant worry of collection. Add the fact that there is no loan involved; therefore no money to pay back. Invoice factoring can provide a simple and easy financing solution. Once working capital is on track and your business has built up equity you are also more likely to qualify for more traditional forms of financing. If your company is selling business to business, is offering terms of 30 days or more, and has experienced cash flow problems, invoice factoring may be effectively used to finance your business. When choosing an invoice factoring company make sure to take a look at their terms of sale and also the cost involved. Evaluate the benefit of outsourcing collections management, and take time to talk with a team member to make sure you understand the process.